PC Musthafa could have easily succumbed to his poverty to live an uninspiring and unfulfilling life. But he was too stubborn a person to allow adversity to get better off him. To defeat financial difficulties, He chose to tread on a road that was less travelled. And by his sheer guts and determination that road eventually led him in the helm of a highly successful company. PC Musthafa, founder & CEO of ID Fresh Food. Today his company ID Fresh, which makes high quality idli batter, is worth Rs 62 crore and clocks annual revenue of Rs 150 crore. The journey that Musthafa traversed from a poor village to owning a highly profitable company is inspirational to say the least. Not surprisingly, today this young lad from Kerala is considered as one of the poster boys in India’s startup world. Being a son of a coolie, Musthafa was obviously going to find it difficult to pay his school and college fees. His educational pursuits were also hampered by the fact that he was born in one of the poorest villages of Kerala, where parents hardly sent their sons & daughters to schools. But this young boy somehow managed to remain steadfast on his educational pursuit despite financial hardships. After completing his school and junior college, Musthafa pursued computer engineering from National Institute of Technology. All his educational fees were mostly paid with the help of his father’s debt. As a loyal son, Musthafa had promised his father that he would all his debt once he secures a good paying job. Since time immemorial malayalees have been flocking to Dubai and other Middle-Eastern countries to make fortunes. Musthafa also took cue from this ageless trend and headed to Dubai to work with Citibank. This was his third job, but this job paid him almost 1 lakh per month. A boy who once struggled to pay his school fees was now earning in lakhs. The Citibank job helped Musthafa to build a good fortune and also helped him in rescuing his family from poverty. One of the first things that he did after securing Citibank job was to pay off his father’s entire debt. He recalls the proud moment when his father was moved to tears after realizing how his son has managed to turn around things for his entire family. This is probably the one moment that Musthafa will cherish all his life. After spending 15 years with Citibank, Musthafa returned back to his motherland. But his homecoming was not going to land him another high paying corporate job. 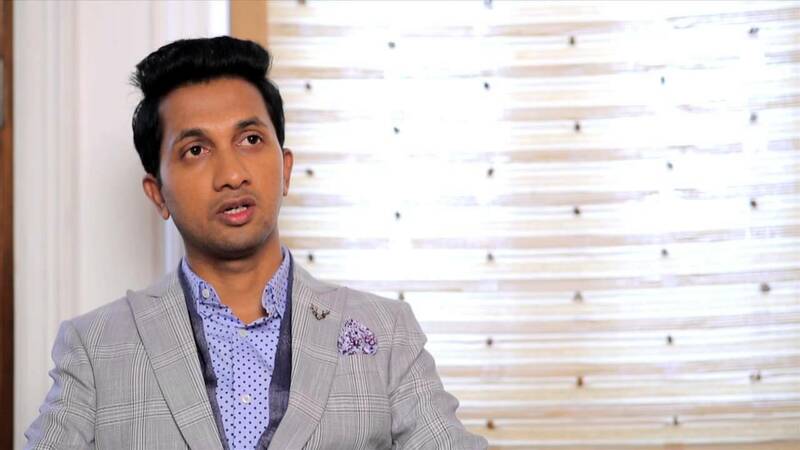 Rather he found himself in the prestigious Indian Institute of Management (IIM), Bengaluru, where he had enrolled for a MBA degree. Pursuing MBA in IIMs was always in his wish list, but in the past he kept postponing this wish owing to lot of financial constraints. Back then little did this young lad know that pursuing his long cherished wish would accidentally lead him to a very ambitious entrepreneurial journey. Not very far away from IIM Bengaluru campus was a small kirana shop, where Musthafa used to frequently visit to meet one of his cousins. It was by sheer stroke of luck that both of them spotted Idli batter packed in a small plastic pouch. They knew instantly that the idli batter inside the pack is of low quality. Both of them were also aware that almost all kirana shops across the city sold such low quality idli batters. This realization got them into a long conversation where both acknowledged that people were simply deprived from buying good quality batter. This was their “Aha!” moment that would unfold into fulfilling entrepreneurial journey for this Kerala lad. ID fresh was started with minuscule investment of Rs 25,000. This investment was enough to get them a small room and couple of idli batter machines. Initially, they supplied only 20 to 30 packs to local shops across Bengaluru. These were the days when Musthafa used to personally drive and delivered the packets to shops. He and his small team that mostly constituted of his cousin brothers amply ensured that quality of their batter remains superior. They were confident that their high quality batter would fetch them lot of positive response. Their cautious prediction eventually proved correct as the initial response was indeed positive. Buoyed by the feedback, Musthafa invested 6 lakh more in his new business. The steep increase in investment was clear indication that this young man was not going to let the lucrative business skip from his hand. ID fresh soon hired more machines and employees. It also expectedly increased the delivery numbers. They were now delivering almost 300 – 400 packets to local shops. The company was making pretty decent profit. Knowing very well that giving big push is possible only with big investment, Musthafa invested nearly Rs 70 lakhs in two subsequent years (2008 & 2009). The capital was sourced from his savings accumulated through his Citibank job and by selling off his properties in Kerala. With these big ticket investments, ID Fresh certainly embarked on a new ambitious journey. The company was now aiming to enter new markets and employ new technology to strengthen its quality. By this time Musthafa had already moved into fulltime CEO role and thereby bringing complete control of the company in his hand. In 2010, ID Fresh took a big step by launching their new product ‘Malabar Parotas’ in the market. With this launch, Musthafa was obviously trying to accelerate company’s profit. This small risk again paid off handsomely as Malabar Parotas proved to be a big hit in the market. In fact, within three years of the launch, parotas were launched in Dubai and their too the product was well received. The company, meanwhile, had also set up operational units in Mumbai and Hyderabad to fuel their next phase of growth. All these risky decisions were steadily helping the company in consolidating its operational as well as financial positions. For instance, the company was now producing 55,000 kg batter on daily basis, which clearly signified it was witnessing stupendous increase in demand. In 2014, ID fresh witnessed a watershed moment when it raised Rs 35 crore by Helion Venture Partner. Three years later, it raised another $25 Mn from Premji Investment. These investments clearly marked company’s phenomenal success and the fact that it had become a hot property in the investment world. 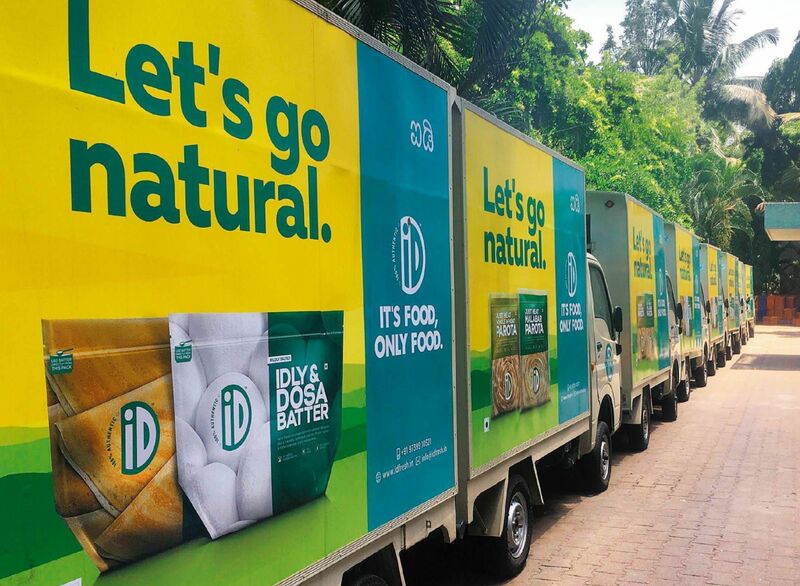 After consistently clocking over 100 crore turnover and revenue of 2.75 billion, ID Fresh remains hungry for more growth as ever before. The company is now soon aiming to enter highly competitive markets like U.S. U.K and other emerging markets across Asia. The company has also increased its product staple by launching vada batter and filter coffee decoction. To be in the helm of such an ambitious and fast growing company is no small achievement. This achievement is even more special given that P C Musthafa was once a son of coolie and lived a life that was overwhelmed by extreme adversities.